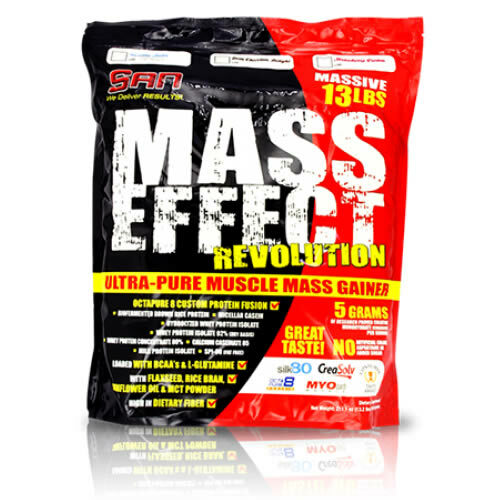 San Mass Effect Revolution is Ultra Pure Muscle Mass Gainer, helps to provide solid muscle with purest ingredients. 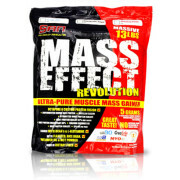 SAN Mass Effect Revolution ultra pure muscle mass gainer and featuring octapure 8 custom protein fusion. 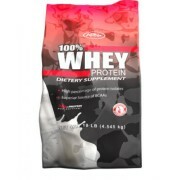 There is high quality whey protein in it that supports build muscle. 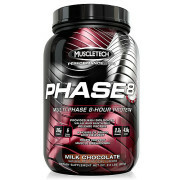 It helps to provide solid muscle with purest ingredients. 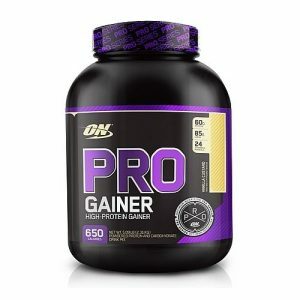 SAN Mass Effect Gainer is a whey protein powder weight gainer. 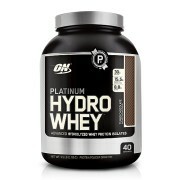 It add weight, muscle and strength very fast. 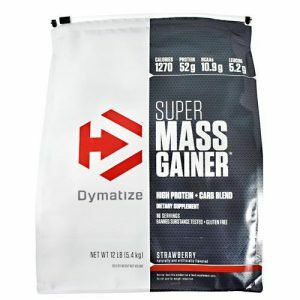 It is a whey protein powder for mass gains. 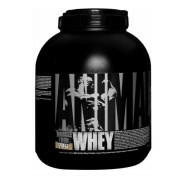 It contains high calories whey protein that supports weight, muscle and strength gains. 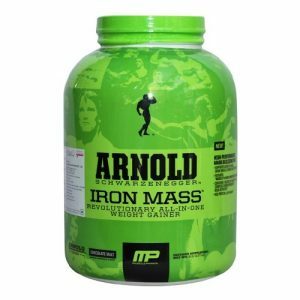 It helps to put on weight fast and build muscle and strength. San Mass Effect Revolution Gainer contains Milk, Soy, Corn, Egg, Shell Fish, Fish, Soy, Peanuts, Tree Nuts And Milk Ingredients. 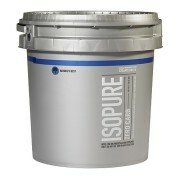 MyoCarb Matrix (Glucose Polymers Derived From Grains, Rice Bran Powder [Sprouted], Flaxseed Powder), Mass Effect OctaPure 8 Protein Fusion (Defatted SPI-90, Sprouted Brown Rice Protein, Hydrolyzed Whey Protein Isolate, Micellar Casein, Milk Protein Isolate, Calcium Caseinate, Whey Protein Concentrate, Whey Protein Isolate, L-Glutamine), Mass Effect Creatine Mass Fusion (Creatine Monohydrate), Non-Dairy Sunflower Creamer Matrix (Sunflower Oil, Corn Syrup Solids, Sodium Caseinate (A Milk Derivative), Monoglycerides, Diglycerides, Dipotassium Phosphate, Soy Lecithin, Tocopherols, Medium Chain Triglycerides), Natural And Artificial Flavors, (Maltodextrin, Natural Cocoa Powder, Natural Extracts), Sodium Alginate, Acesulfame-K. 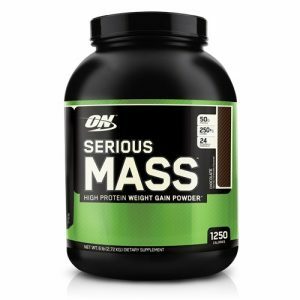 Fill shaker with 700 – 1000 ml cold water or milk and add 5-7 scoops of SAN mass effect gainer per day. 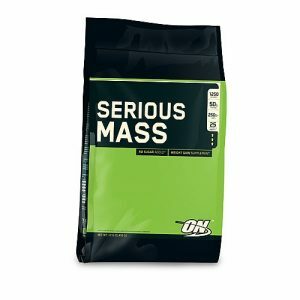 Note: All SAN Nutrition Sold at Proteinsstore.com are 100% Genuine. 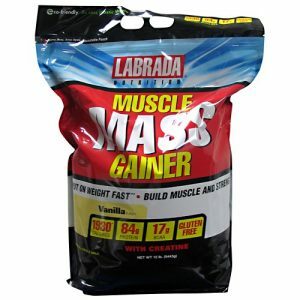 Buy Best Weight Gainer Supplement in India.